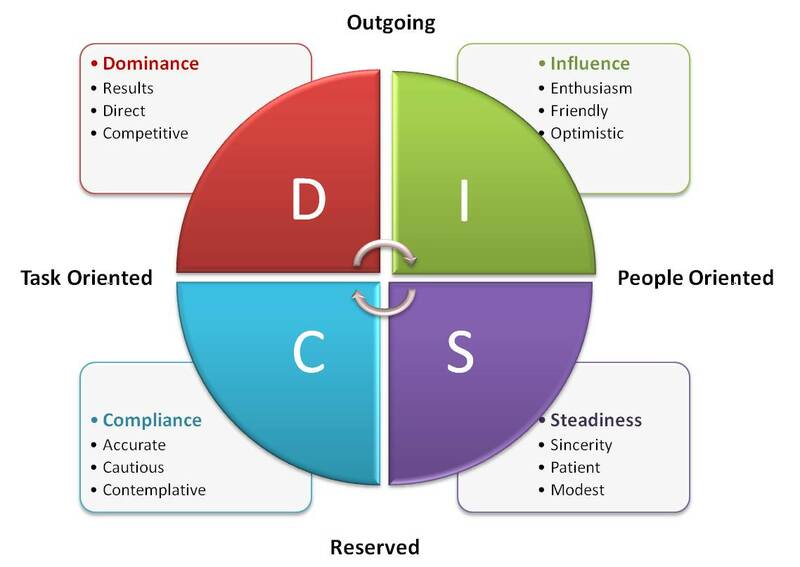 DISC is commonly used as a tool to get to know yourself and others better, and how this applies to our behaviour in interpersonal situations. The tool is used to make communication more effective. 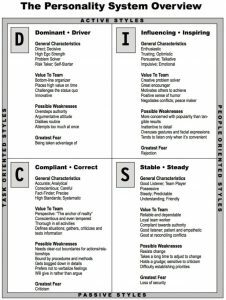 More specific versions of the DISC assessment will help understand how one person would be likely to react in a specific team, management, or leadership situations, given their DISC style. The DISC tool can be used by Extension Project Teams to improve their effectiveness, as well as in extension projects (and with extension client groups) to better tailor processes to meet client needs. The tool’s origins date back to the early 1920s and was developed by William Marston (1893-1947), who was not only a lawyer and a psychologist, but also the producer of the first functional lie detector polygraph. He also authored self-help books and created the Wonder Woman comic. In 1928 he authored the book, Emotions of Normal People. His major contribution to psychology came when he generated the DISC characteristics of emotions and behaviour of normal people. He argued that these behavioural types came from people’s sense of self and their interaction with the environment. Marston included two dimensions that influenced people’s emotional behaviour. The first dimension is whether a person views his environment as favourable or unfavourable. The second dimension is whether a person perceives himself as having control or lack of control over his environment. The original work of Marston has been further developed over time; initially by Walter Clarke and Associates in work that resulted in Active Vector Analysis (AVA).